I have a drawer of tons of drill bits from all over the place - many donated. Almost all of these bits are dull black or gold-ish colored and don't have much else in the way distinguishing them (that I know to look for). 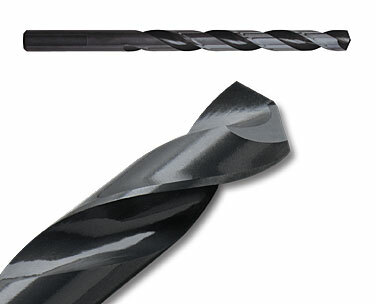 They just look like generic drill bits (not forstner, paddle, etc). Someone told me not long ago not to use metal drill bits on wood and vice versa. I've never heard this before. It does matter - wood drill bits won't work on metal (destroying the bit in the process, unless used on thin and soft metals) and metal drill bits will increase splintering and tear-out when used on wood (but this depends also on the wood type and the diameter of the bit, and for smaller diameters there is little difference between wood and metal drills bits). As for how to tell them apart - wood drill bits have two distinguishing features: a spar (also brad) and a lip. The spar helps in keeping the bit centered when starting the hole and prevents wandering of the bit on the surface of the wood. The lip acts like a chisel, slicing through the wood fibers in the circumference of the drilled hole, improving the quality of the finish. This is most important for through holes, where the lips helps reduce "blow-out" of the wood when exiting the wood on the other side. Wood bits are typical black and silvery in color, but other colors exist. There are also copper coloured metal drill bits that are more suitable for metals, then there are darker metal drill bits that you use for walls. Not the answer you're looking for? Browse other questions tagged tool-identification drill-bits or ask your own question. What is this brace bit cutter tool exactly and how is it used?